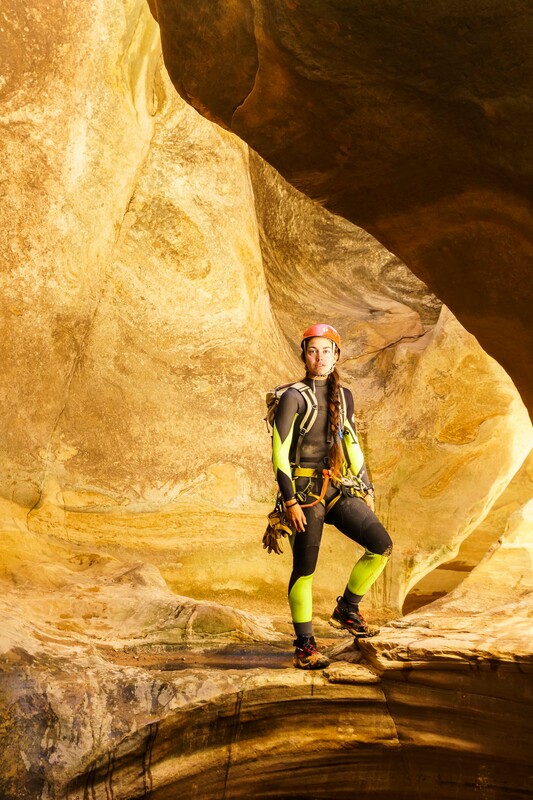 Environmental portrait of a young female canyoneer standing on the edge of a deep pool in Pine Creek. Zion National Park, Utah. Photo © Michael DeYoung - aTaos, New Mexico based photographer who specializes in adventure and active lifestyle photography.